As a part of my continued effort to improve my health, I recently embarked on a 16 day semi-fast. The reason that I use the term semi-fast is that I did more than simply drink water on my fast. Though this is the most effective and intense method, it is also the riskiest. A water fast should only be completed under the supervision of a doctor, as it can pose life-threatening health problems and even death. Studies have shown that many people have died in the course of trying an extended water fast. In beginning of my fast, I wanted to make sure that my intestines were as empty as possible. This is important because the digestive system needs to be relieved of the strain of doing its normal job during the fast. By removing all of the waste in the intestines, you are allowing your body to maximize the cleansing process and remove the toxins that are in other parts of the body. For the first few days of my fast, I drunk freshly juiced vegetables juices and fruit juice several times a day. Garlic and celery juice by Wild Tofu and carrot juice by Food Thinkers. I wanted to make sure that I had a moderate amount of fiber in my intestines so that I could empty my bowels and have my intestines as empty as possible through the fast. I won’t tell you that all was rainbows and sunshine during those first days. In fact, I felt terrible. Not only did I have extremely low energy levels, but I was tired all of the time and felt the need to sleep often. I honestly was not sure if I would even be able to finish the fast…it was that difficult! This is what concerned me. I found it strange that I was feeling so terrible, because I had always heard that juice fasting would cause less fatigue. I truly was not prepared for how badly it would make me feel. Why are the First Few Days of a Juice Fast so Difficult? The first few days of a juice fast are never going to be easy. The first reason for the discomfort lies in our desire for food. For the first three days, you are going to be extremely hungry. This is the most difficult part of a fast to overcome, but if you will stick with it, the hunger will leave you, soon after the third day. Depending on your lifestyle and health level, you may experience an easier first few days or a more difficult time. As you begin the detox process, your body will experience different reactions. You may have headaches, fatigue, joint pain, foul breath, body odor and other symptoms. Though these can be very uncomfortable, they are nothing to cause concern. This is a normal part of the detoxification process and it simply means that your fasting is working as it should. After those difficult first few days, my body seemed to cycle through different highs and lows. At some moments I would feel so full of energy, that I could barely contain it and felt like moving mountains. During these periods, fasting felt easy and I believed that I could go on for months and months. At other times, my body seemed to revolt and I felt that I could not fast for one moment longer. For my remaining days on the fast, I drunk coconut water, using only the freshest young coconuts that I could find. Coconut water is the key to making any fast successful. By drinking this water (straight from a young, green coconut), you are aiding your body in the detoxification process, along with accelerating the healing process. Coconut water is high in essential nutrients and is similar in its amount and type of electrolytes, to human plasma. For this reason, doctors in tropical regions often give coconut water to their patients, through IV. Rich in electrolytes, potassium chlorides, calcium and magnesium, it is also both a natural diuretic and laxative, helping the body to be even faster at flushing out the toxins, through the urine and stool. During the fast I was also taking a tablespoon of coconut oil each night before bed. 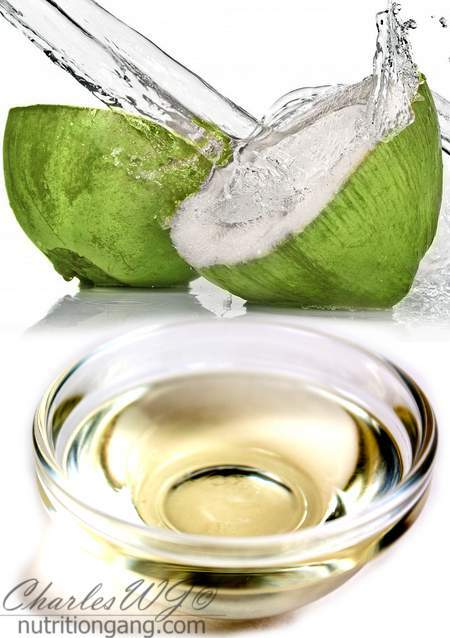 Coconut oil is beneficial for so many health disorders that I cannot recommend it enough. It kills bacteria, retroviruses, fungi, protozoa and parasites. It also fights against toxins and carcinogens in the body. Very beneficial in digestive disorders, it is able to kill Gardia, a common protozoan infection in the gut. Coconut oil is able to attack the bad viruses that are lipid-coated and destroy them, while never harming the good bacteria that are sugar-coated. Along with coconut water and oil, I was also drinking the broth from homemade beef or fish stock. (I never ate any of the meat, simply the strained broth.) You can make this broth from beef and fish bones. Beef bone stock is full of nutrients like collagen, gelatin, glycine, proline and the all-important glutamine. Glutamine has been proven to help repair the lining of the digestive tract. This is especially helpful for those who suffer from Leaky Gut. Along with these items, I was also taking Probiotics and one teaspoon of homemade fermented sauerkraut in the morning. Because I did not want to cause the digestion process to begin, I chewed the sauerkraut very, very well. (I can’t stress this enough-VERY well!) Probiotics are very important in the fasting process because while you are working to starve out the bad bacteria, you need to make sure that the good bacteria are replenished and thriving. There are normally about 100 trillion bacteria living happily in your gut. That means that roughly seven pounds of you is simply bacteria. This bacteria is important because it keeps your body healthy by eliminating pathogens and detoxifying harmful compounds. Through this, it is able to balance the immune system so that the bad bacteria are handled and do not take over. I also broke out in red spots on my back, neck and shoulders. I believe this occurred because of the killing off of the bad bacteria and the subsequent release of massive amounts of toxins into my body. Because of all of these symptoms, I felt like giving up many, many times. Something within me made me keep going. I figured that if I could go through it, that I could potentially get rid of these symptoms definitively. Though these symptoms were very difficult to deal with at times, there were things that I did that seemed to help. Sleeping was one of the best things that I did for my body during the fast. Sleeping allows the body to focus on the healing process and helps to revive the energy that is lost. You will most likely find that you will need a lot of more sleep at night and may even need to take some power naps during the day. To help speed up the process of detoxification, I took several Bentonite Clay baths during the fast. Bentonite Clay contains Morillonite and has been used for centuries by Native tribes. It has a highly negatively charged ionic surface area when it is mixed with water. By adding the clay to a warm bath, the two work together to remove the bad substances from the body. As the warm water opens the pores of the skin, the negatively charged ionic surface of the water attracts the positively charged particles like environtoxins, heavy metals (lead, mercury, aluminum), pesticides, insecticides, food additives, and even nicotine. From birth, our bodies begin accumulating all of these substances and they are all toxic to the body. I also took a lot of cold showers during my fast. Cold showers have been proven to help aid in speeding up the detoxification process because the cold water increases the circulation of the body, reduces inflammation and helps to send oxygen to your organs so that they can detoxify. This takes some getting used to but is very beneficial for the body. When I first started out on my fasting journey, my goal was to complete a 40 day fast. I at least hoped to complete one month. By the time I reached around 12 or 13 days into my fast, I was having heart palpitations and was becoming weaker and weaker each day. Since I was not doing a water fast, I do not believe that I was suffering from a Potassium deficiency, though my symptoms mimicked that. A Potassium deficiency is a very serious condition and can be life-threatening. When I reached the 16th day, I made the decision to break my fast because my weakness was not going away. To break the fast, I proceeded very carefully and very slowly into eating again. Through a period of about 4 to 5 days, I slowly introduced foods so that I would avoid a shock to my body. I have been on the SCD/GAPS diet for many years. While I could eat most of the SCD legal foods, there were always a few foods that I could not digest properly and that always seemed to cause flare ups. To my great surprise, after the fast, I can now eat all of these problematic foods that I could not enjoy before. They no longer cause any issues for me. I also have had some kind of strange red lines on my abdominal area. I believe that these are caused by my leaky gut and the various particles that have been leaking into by bloodstream. After the fast, these lines have faded quite substantially. Take a look at the pictures below. (Please note that these are not the actual photos. I have created these diagrams myself, trying to reproduce the lines so that you will have an accurate picture of what I have been experiencing). As you can see by the diagrams above, the lines are still there, but they have decreased in intensity immensely. Though my fast was not as easy as I thought it would be, I plan to complete several fasts each year. I hope that my next experience with fasting will be a much easier one, but even if it is not, the benefits are way too important for me not to continue! What about you? 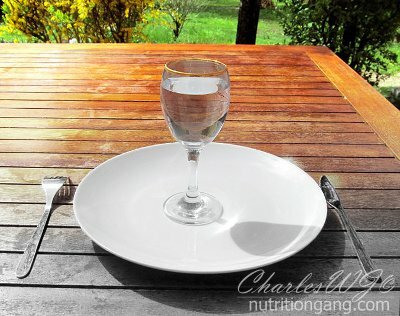 Have you already tried fasting in the past? Did you benefit from it? Or are you interested in trying for yourself? Next: Next post: GIVEAWAY – Breville JE98XL Juice Fountain Plus – A $149 Value! your fasting report was interesting. It’s a tough question. Unfortunately, as I’m not a doctor, the only recommendation I can give you is to consult with your doctor to be sure it’s not going to harm you in any way. That being said , aloe vera gel is considered a food. As with any food, some people can digest it without any issue while some others can’t. I’m sorry I can’t help more. You may want to contact Dr Michael Haley from aloe1.com – http://www.aloe1.com/contact-us/ as he may be able to reply to your question. I read your aloe vera question with interest since I have a tremendous passion and expertise in this area. It sounds to me like you are using the whole leaf to make your aloe juice. There is much controversy over using the outer part of the leaf since it is somewhat of a digestive irritant. If you use a clean inner leaf filet, you can consume much larger amounts and not have bad reactions. In fact, some people consume 3 cups of aloe vera gel per day. Of course that would never work if the outer leaf juice was in your beverage. Also, rather than keeping it in the fridge, you might consider freezing it. Aloe vera gel keeps very well frozen. Some people make cubes with it and throw a few in the blender with their smoothies.